Courtesy of GoldieBloxDebbie Sterling, founder and CEO of GoldieBlox. Worldwide, just 14% of engineers are women. Stanford-educated engineer Debbie Sterling is on a mission to increase that percentage by encouraging girls as young as four years old to start tinkering with toys and building simple machines. Since 2012, her company GoldieBlox (No. 59 on the BI 100: The Creators) has sold more than 1 million sets of narrative-driven construction toys. Getting girls interested in engineering at an early age was an easy sell, Sterling told Business Insider in an interview. Changing attitudes about girls’ capabilities in STEM, however, proved much harder. Sterling was working a stale job in marketing when the concept for GoldieBlox struck her during an “idea brunch” in 2011. Idea brunches were a longstanding tradition for Sterling; a comfortable gathering where her friends would share ideas ranging from an art project to an app, she explained. At the idea brunch, one of Sterling’s Stanford friends expressed her frustrations about the lack of women in STEM and said she’d played with her brothers’ hand-me-down construction toys as a child. She realised the toys led to her interest in engineering and wondered if the absence of engineering toys for young girls was responsible for the gender gap in STEM. The idea was obvious, yet potentially groundbreaking, Sterling recalled. Despite the general assumption that boys outperform girls in maths and science, Sterling found the opposite to be true everywhere but North America and Western Europe. She discovered that attitudes and cultural differences in those regions were to blame. “[Many people] suggested the reason why girls and women don’t enter engineering is a biological reason … that boys are inherently better at maths and science and that’s why there are no girls in engineering and there was nothing I could do to change that,” Sterling said. So she delved into the research, spending the next nine months studying the toy industry and children’s media, meeting with neuroscientists and preschool teachers, and observing kids play. She also learned that girls have naturally inherent verbal skills. “Girls really love stories and narratives … it became really obvious to me that the way to get girls engaged in engineering and building was to incorporate a narrative,” Sterling said. Sterling’s first character, Goldie, was introduced in a combined storybook and construction set teaching girls how to build a belt drive. The inspiration for Goldie came from “kind of funky, brave, but not perfect girl characters” Sterling grew up with like Pippi Longstocking and Matilda. 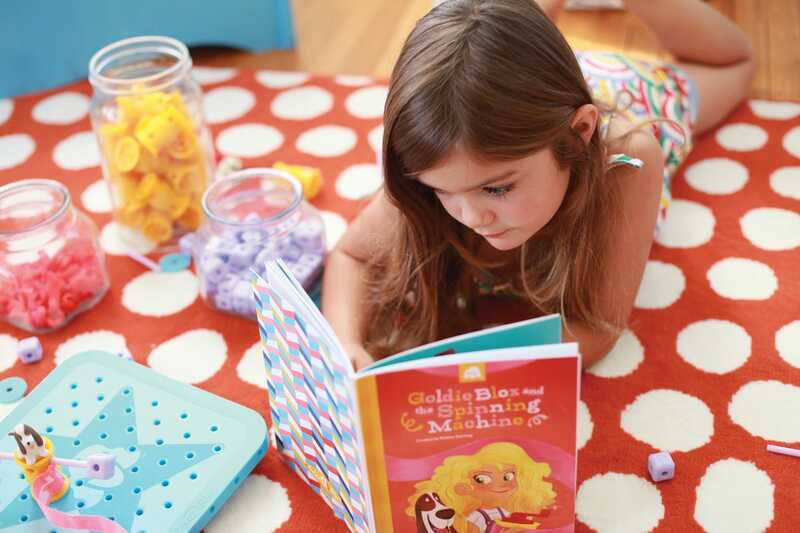 In 2014, GoldieBlox and The Spinning Machine won the people’s choice award for Best Toy of the Year. 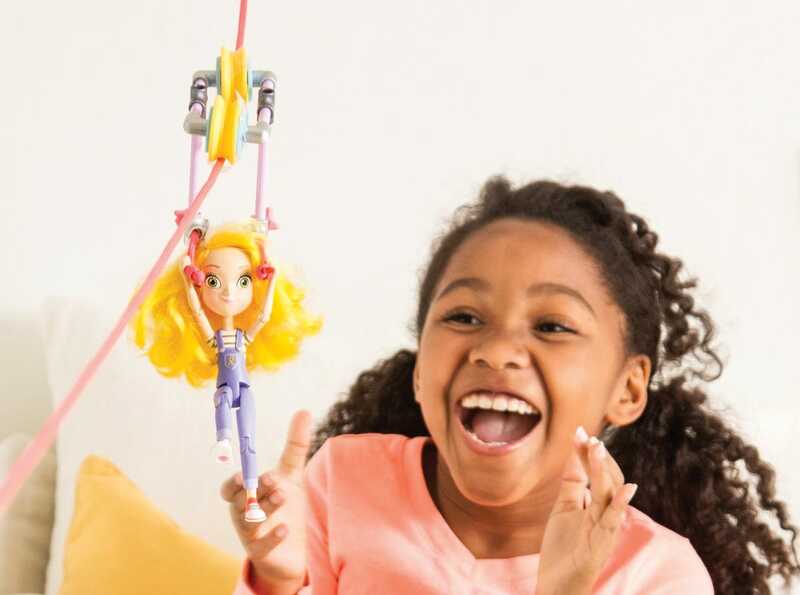 But when it came time to pitch GoldieBlox, Sterling was laughed out of retailers, who plainly told her, “construction toys for girls don’t sell.” But Sterling kept at it, determined to quash the stereotype. 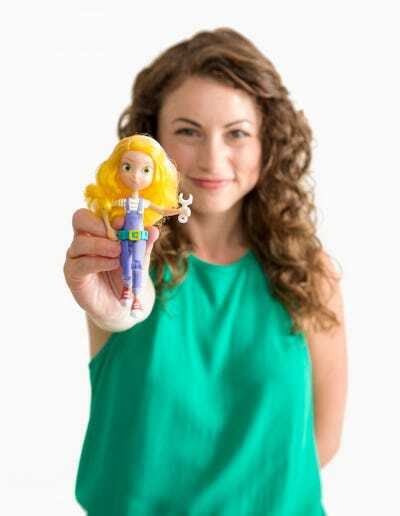 She eventually turned to crowdfunding platform Kickstarter, where a video telling the story of GoldieBlox went viral. Sterling’s feminist crusade resonated with internet funders and within three months GoldieBlox raised $1 million in pre-orders on Kickstarter. Within six months, GoldieBlox hit the mainstream after winning a 30-second Super Bowl spot in a contest held by software company Intuit. Immediately, Sterling and her team decided that the coveted ad space would be less about selling their product and more about sharing the company’s social mission and initiating a movement. “That video took the same empowering message for girls that we had in our Kickstarter video but put it on the main stage for over 100 million people to see, so it was an incredible, once-in-a-lifetime opportunity,” Sterling said of the commercial, which was worth about $4 million. The commercial made history and earned praise for deviating from the raunchy, often misogynistic tenor of many Super Bowl ads and for inviting young girls to play with toys other than dolls and princesses. GoldieBlox now has 25 employees working out of its Oakland, California, office. Twice a week, the team play-tests with kids to perfect their products. Sterling said the research ranges from observing interactions between parents and kids in their homes to getting feedback about character concepts from kids to form the most authentic narratives possible. Four years after its launch, the company now has a total of 17 products available in more than 6,000 retailers worldwide — and a growing library of more than 100 videos — that teach engineering and problem-solving skills like hinges and levers, pulleys, gears, and wheels and axles. Most importantly, the toys give girls the confidence to explore science and engineering. Every toy follows the story of Goldie and her group of friends including Ruby Rails, an African-American coder, and Li Gravity, Goldie’s best (male) friend and a budding physicist. Diversity is important to Sterling, who serves as the CEO, and the team behind GoldieBlox. “We really look for diversity because at the core of GoldieBlox — one of our core values — is that we believe a diverse workforce will come up with the best solutions for the world’s biggest problems.” But above all, Sterling said she looks to hire people who are passionate about the company’s social mission.